Hey everyone! 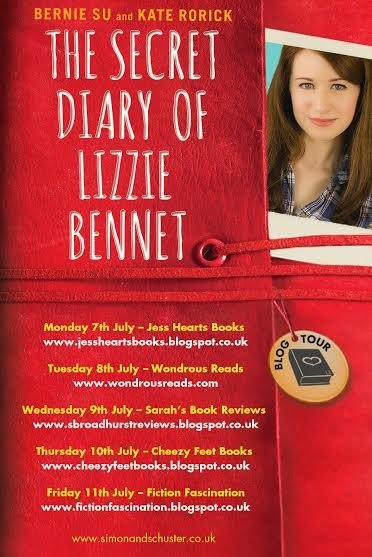 Today is my stop on the blog tour for The Secret Diary of Lizzie Bennet by Bernie Su and Kate Rorick, which is the novelisation of the hugely successful Lizzie Bennet Diaries webseries on YouTube! If you haven't watched them yet, you simply must, for they are BRILLIANT! You can watch the first video below or on the Lizzie Bennet website itself, and enter a giveaway to win one of five copies of the book. Synopsis from Goodreads: Based on the Emmy Award–winning YouTube series The Lizzie Bennet Diaries. Twenty‑four‑year‑old grad student Lizzie Bennet is saddled with student loan debt and still living at home along with her two sisters—beautiful Jane and reckless Lydia. When she records her reflections on life for her thesis project and posts them on YouTube, she has no idea The Lizzie Bennet Diaries will soon take on a life of their own, turning the Bennet sisters into internet celebrities seemingly overnight. When rich and handsome Bing Lee comes to town, along with his stuck‑up friend William Darcy, things really start to get interesting for the Bennets—and for Lizzie’s viewers. But not everything happens on‑screen. Lucky for us, Lizzie has a secret diary. The Secret Diary of Lizzie Bennet takes readers deep inside Lizzie’s world and well beyond the confines of her camera—from the wedding where she first meets William Darcy to the local hangout of Carter’s bar, and much more. 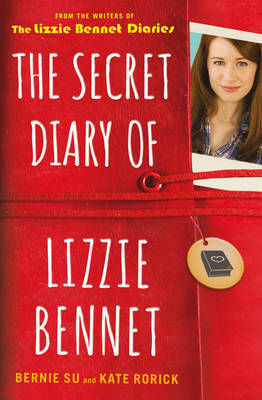 Lizzie’s private musings are filled with revealing details about the Bennet household, including her growing suspicions about her parents’ unstable financial situation, her sister’s budding relationship with Bing Lee, the perils of her unexpected fame, and her uncertainty over her future—and whom she wants to share it with. Featuring plenty of fresh twists to delight fans and new readers alike, The Secret Diary of Lizzie Bennet expands on the web series phenomenon that captivated a generation and reimagines the Pride and Prejudice story like never before. If you could be a character in any of Jane Austen's novels, which character from which story would you be, and why? Once you've done that, enter all your details into the Rafflecopter widget below and come back in one week's time to see if you're a lucky winner! Thanks for stopping by! I really hope you'll read The Secret Diary of Lizzie Bennet, and watch the videos if you haven't already, and enter the giveaway! Don't forget to check out all the other stops on the blog tour too. I love the youtube series and the book. I am currently watching their adaption of Emma, "Emma Approved", and I am loving it! I think I would want to be Elizabeth Bennet, because who does not want a Mr. Darcy?! I would be Mr Darcy, because he's misunderstood but awesome. Aargh, it won't let me comment as liveotherwise! Ahhh... I was going to answer your question for the givaway, but I messed it up. I just left my name... So... I think I would like to be Elizabeth Bennet. She's a bit like me. We both love books, and we are both the most serious of our siblings. And she gets Mr. Darcy. Who wouldn't want Mr. Darcy? In the movie he is Matthew Macfayden, and in the series he is Colin Firth! Dare I admit I have never read a Jane Austen book but I am currently reading book 3 in the Jane Austen Academy series, that counts right? If there is a dizzy clumsy character in any of her books that will be me. I wish more than anything I could just be Jane Austen because she is one of my favourite authors ever. I'd love to be Lizzie Bennet because she is one of the strongest characters of Victorian Literature and somebody who I completely idolize. Or maybe Laura from Love and Friendship because she is hilarious! Hello all! Hope you're all enjoying the summer! I'm currently on holiday in a huge castle in the South of France and enjoying relaxing, playing games, and of course reading a lot! Today's post is a review of a dreamy summer romance that's perfect for your holiday TBRs! Synopsis from Goodreads:Growing up in her sleepy Cornish village dreaming of being a writer, sixteen-year-old Lou has always wondered about the grand Cardew house which has stood empty for years. And when the owners arrive for the summer - a handsome, dashing brother and sister - Lou is quite swept off her feet and into a world of moonlit cocktail parties and glamour beyond her wildest dreams. But, as she grows closer to the Cardews, is she abandoning her own ambitions... And is there something darker lurking at the heart of the Cardew family? 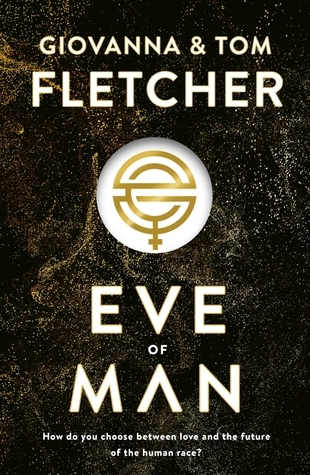 Read on for why I enjoyed this so much! Synopsis from Goodreads:Elektra James is back and her life is more hilariously chaotic than ever! Hello! YALC 2018 is coming up this month - who's excited?! I sure am! To celebrate (and also to prepare because I am very organised and like to be prepared) I am setting myself my own little YALC challenge. It's very simple and you can join in too! It's easy: read as many books by YALC authors as you can before Friday 27th July, ie, Day One of YALC.